So much tastier than a simple orange on its own and almost as quick! Peel and slice the oranges. Cut the pomegranate into quarters and remove the seeds. ARRANGE Arrange the orange slices on a serving dish. 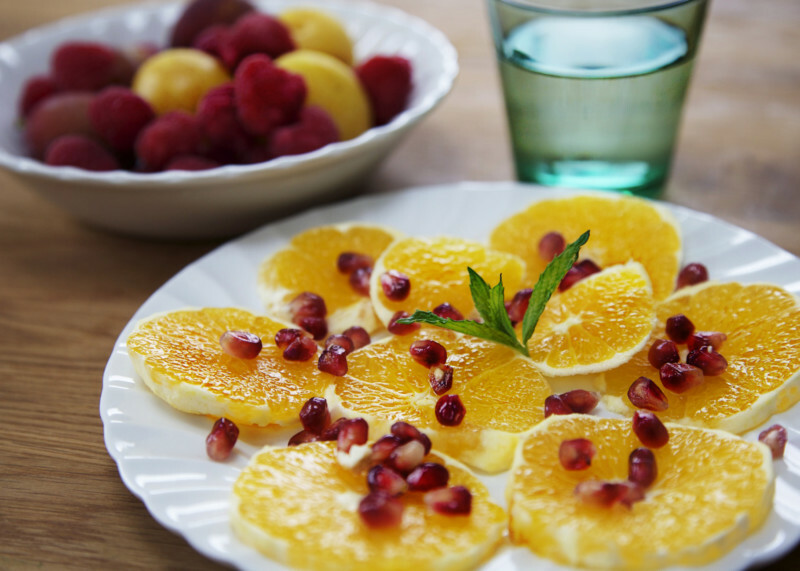 Scatter the pomegranate seeds over and decorate with mint leaves. Cover with cling film and chill until ready to use.